WE Negotiate Short Sales to help YOU Save Your Home And Credit From Foreclosure Right Now! If you're struggling to make mortgage payments, cannot refinance due to lack of equity, have less than perfect credit or stuck with skyrocketing interest rates we can help! Fill out the simple form on this page for a FREE consultation to discuss your options to save your home from foreclosure. 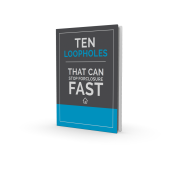 You'll also get immediate access to a FREE special report titled: "10 Loopholes That Can STOP Foreclosure Fast." © www.PleaseStopMyForeclosure.com All Rights Reserved.